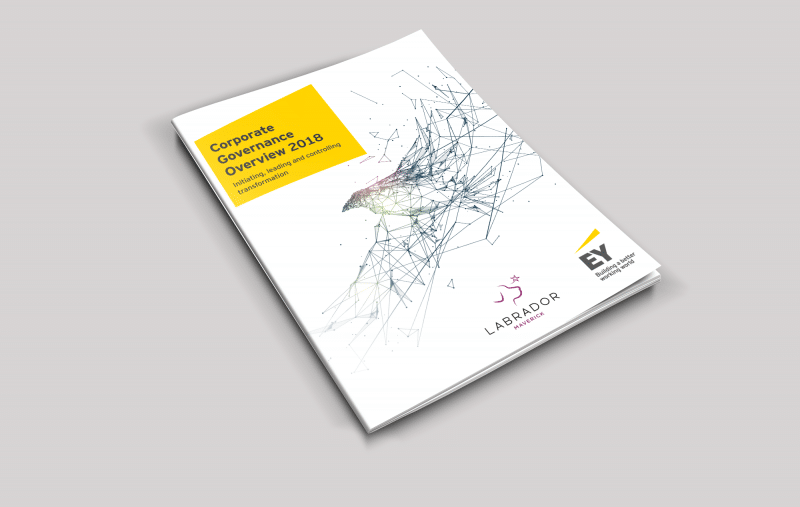 Broad progress by European companies on governance, transparency and other stakeholder priorities is reported in the 2018 Corporate Governance Overview, being published this month by Labrador and EY. The report surveyed 220 companies in four European countries, including 120 French Bigcaps, 40 French Midcaps and 60 German, British and Italian Bigcaps. The study’s scope covered 150 criteria, including Board structure and composition, governance, transparency and ethics and compliance. The survey found clear progress across all ratings, including in Corporate Governance Tools and Ethics, two themes for which performance had been low in previous years. For example, advancements made under the AFEP-MEDEF Corporate Governance Code are illustrated by the 63% of CAC 40 Boards that have addressed CSR issues. In addition, it also focuses more on areas such as risk management, shareholder dialogue, long-term value creation and increasing the number of women on executive committees. The report shows the increasing attention such issues are drawing in board deliberations. Long-term development strategies, CSR and risk management all rank among the top subjects on board agendas. Directors are spending more time understanding the company with increases in the number of topics being handled as well as the average number of board meetings. Transparency is also improving with two-thirds of companies now publishing individual board attendance and describing the integration and training process for their directors. AFEP-MEDEF Code is credited with contributing to the progress through innovative ideas such as pushing for CSR criteria to be integrated into manager variable compensation, including social and environmental issues in audit reviews and promoting long-term value creation by considering social and environmental issues. Quality in the presentation of risks is another area that is improving, such as through table-form presentations that clearly describe risk factors and control systems. At the same time, a clear challenge remains the readiness of corporate boards to tackle tomorrow’s challenges such as digital transformation, CSR, ethics and emerging risks in the face of technological breakthroughs and a changing legal environment. “Far from simply paying lip service and following new regulatory requirements, Boards must now deal with strategic CSR challenges,” says the report. Ideas for pushing further include adding CSR experts to the board, strengthening coordination between CSR committees, strategy committees and the board as a whole and reinforcing the link between the Board’s CSR agenda and the overall strategy of the company. The full report will be released in November.